Fort Lauderdale, FL – November 8, 2017 – CRS Jet Spares an aftermarket parts solution provider supporting the Business Aviation Industry for over 30 years, has announced the availability of a Supplemental Type Certificate (STC) from the Federal Aviation Administration (FAA) for the SmartStem® Wireless Tire Pressure System on Gulfstream 150 model airframes. SmartStem tire pressure sensors are already certified for retrofit on Gulfstream models 350, 450, 500, 550, GV, GIV-X, and GV-SP as well as various other business jets. “Another model Gulfstream will now be able to benefit from the use of the SmartStem system” stated CRS Vice President, Jack Caloras. This STC allows Gulfstream operators to check tire pressure readings in seconds without risking valve damage or gas loss, dramatically simplifying the preflight checklist and saving money and time. 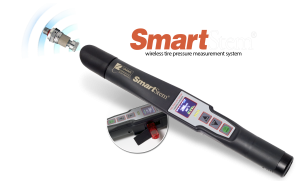 The SmartStem systems consist of high-accuracy SmartStem tire pressure sensors, which replace the existing standard wheel fill stems, and a handheld ready, which electronically reads and stores tire pressure and temperature. Crane Aerospace & Electronics is in the process of certifying SmartStem tire pressure sensors on additional business, regional, and large commercial aircraft with multiple regulatory authorities to meet customer demand. For more information contact Jack Caloras, Vice President Sales and Business Development representative today, 954.972.2807.